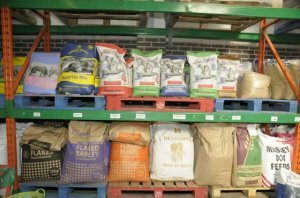 WE OFFER BULK ORDER DISCOUNTS AND DELIVERY ON A RANGE OF FOODSTUFFS FOR FARM AND SMALL HOLDING ANIMALS: WHALLEY CORN MILLS. Farming is a major activity here in Lancashire’s Ribble Valley and at Whalley Corn Mills, in addition to catering for the needs of the domestic pet; we provide a reliable, efficient, quality service for the farming community. Reliable supply of quality foodstuffs. We offer a regular delivery service, discounts in respect of regular bulk orders and of course, the quality of product for which we are famous – throughout this region and beyond. Please contact us or if you would like details of our bulk order terms, conditions and prices.